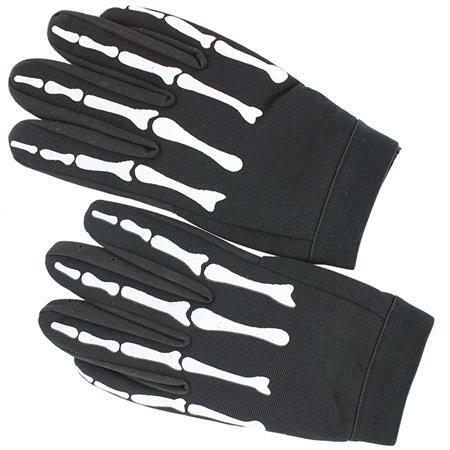 The Death Reaper Gloves has a synthetic leather palm with a slightly padded spandex back. 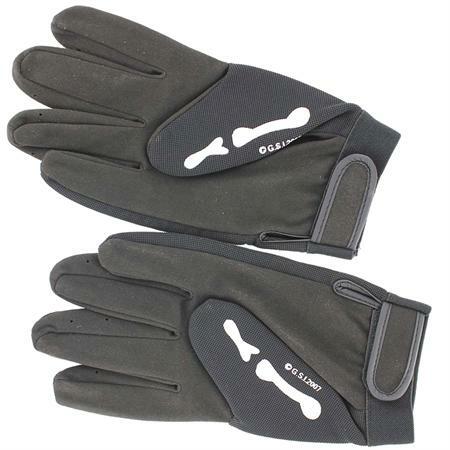 Each finger has holes down both sides to ventilate your fingers and help prevent sweating. Skeletal Reaper finger bones adorn the top of these gloves and the wrist band has a Velcro closure. Fitment XL. Overall Length is 10 inches.